PCA SKIN promotes a healthy complexion with scientifically proven products. PCA SKIN has been and continues to be a trusted innovator in the development of highly effective professional treatments and daily care products. Their vision is to improve people’s lives by providing results-oriented skin care solutions that are backed by science for the health of your unique skin. 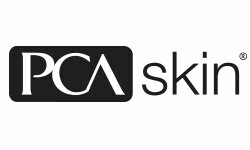 Can't find your favorite PCA SKIN products? Sign in or register now to access our full selection of products and discounts. PCA SKIN care products contain medical-grade ingredients to deliver superior results. PCA SKIN was founded in 1990 by an aesthetician and developed by a dermatologist. The company is grounded on three core pillars: product innovation, excellence in education and unparalleled customer support. PCA SKIN is the innovator of the modified and enhanced Jessner’s peel and over the past decades the line of blended chemical peels has expanded to include treatment options for all skin types, ethnicities and conditions. Over one million PCA SKIN peels are performed globally each year. The PCA SKIN research & development, product development and quality assurance processes are above and beyond industry standards. 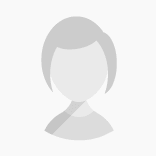 The formulas are researched, designed and executed by the in-house PhD chemist. PCA SKIN addresses each skin condition holistically, with products combining the newest and most efficacious ingredients paired with proven, tried and true ingredients to create unparalleled, visible results. They have a solution to address a wide variety of skin types and conditions. The collagen hydrator is fantastic. My skin feels so silky smooth and that feeling lasts quite a while. A little bit also goes a long way, and this product lasts quite a while—even using it twice a day. I highly recommend this. I admit to being obsessed with this serum! I use this morning and night and feel and see a difference in my skin when I occasionally run out. I have dry skin and this is all I need as a moisturizer in the summer months. In the winter I follow with whatever night moisturizer happens to be my current obsession! And I love the scent, kind of an herbal/ginger-ish. This keep my lips really hydrated. Plump and soft. Best lip plumper I’ve tried.